Applications are submitted and processed electronically through the Graduate School Apply Yourself portal. Applicants to the M.S. program must choose Admissions Category - Masters Degree and in application choose Program - Statistics - MS. Make sure to choose the M.S. program in Statistics even if you plan on pursuing a Ph.D. later or if you already have a Master of Science in Statistics. Although the department has rolling admissions, applicants are urged to have all materials in by February 1 to maximize the chances for assistantships and fellowships. All applications for graduate study at the University of Kentucky Graduate School must be submitted on-line. DO NOT SEND MATERIALS TO THE DEPARTMENT or to stat-admit@uky.edu unless specifically requested by the Director of Graduate Studies. See the Graduate School website for further details. We are now part of the Hobsons ApplyYourself Application Network, a system used by over 700 colleges and universities that provides an opportunity to submit all Graduate School and program requirements in one application, including letters of recommendation. Each application requires completion of a separate application form and submission of a separate application fee. Currently the fee for domestic applicants is $65.00 per application and for international applicants the fee is $75.00. Please note that the application cannot be submitted without payment of this fee. Step one in the process is to set up a new account and establish a user name and password. Do not lose this information; you will need it if you wish to return to continue an unfinished application or review a completed application. You will be asked to upload copies of transcripts from all higher education institutions attended and, in the case of domestic students, to self-report cumulative GPA’s for each institution. For degree-seeking students, the Graduate School requires an overall undergraduate grade point average of 2.75 and 3.00 on all graduate work. If you are offered admission and decide to enroll you will then be required to submit official transcripts to the Graduate School. For formal admission to the graduate program in Statistics, an official GRE test score is required. You will be asked to self-report these scores on the application (you can also supply a future date for taking the test). Your application, with self-reported scores, will be processed by the admissions committee. However, we also require official scores from the reporting agency before your matriculation. If you are admitted to the graduate program in Statistics, GRE scores should be sent directly to us from Educational Testing Service (ETS); the Institution Code for the GRE for UK Graduate School is R1837. GRE Quantitative Score Percentiles for recently admitted students: Lower Quartile=89%; Median=94%; and Upper Quartile=97%. These scores will be incorporated into your application and compared against self-reported scores to ensure consistency. The Graduate School sets no minimum score for the GRE; admission to the Statistics program is competitive and the quantitative GRE is heavily weighted. See the above bullet for information on GRE quantitative scores for recently admitted students. All applicants whose native language is not English will be asked to self-report one of these scores on the application. As for GRE scores, we also require official language scores to be sent to us directly from the reporting agency if you are admitted to the graduate program in Statistics. If you are admitted to the graduate program in Statistics, TOEFL scores should be sent directly to us from Educational Testing Service (ETS); the Institution Code for the TOEFL for UK Graduate School is R1837. If you are admitted to the graduate program in Statistics, IELTS scores should be sent directly to us from the International English Language Testing Service specifying the University of Kentucky Graduate School, Lexington, Kentucky as the recipient institution. TOEFL IBT Scores for recently admitted MS students: Lower Quartile=89; Median=96; and Upper Quartile=102%. For the Graduate School, the minimum acceptable TOEFL score is 550 (paper-based) 213 (computer-based), or 79 (internet-based). The minimum IELTS score is 6.5; the graduate program in Statistics has a higher requirement. See the above bullet for information on recently admitted students. Official submitted scores must be no more than two years old. All international applicants must provide TOEFLscores for financial support. For domestic applicants and applicants to the Master of Applied Statistics, the Graduate School requires applications to be submitted no later than one month prior to the start of the term for which the applicant intends to begin graduate work. Please refer to the Academic Calendar for typical semester starting dates. For international applicants to the M.S. and PhD programs, the following Graduate School deadline applies: Fall Semester Admission - March 15th. New students are admitted to the graduate program in Statistics only for the Fall Semester. Conditional admission to complete pre-requisites is available in all semesters. All applicants are automatically considered for Fellowships and Assistantships; no seperate application is required. Financial support packages range from $15,000 to $26,500 for the academic year. In addition, internships, teaching assistantships, and research assistantships are usually available during summer term. Financial support is not available for the online Master of Applied Statistics program. 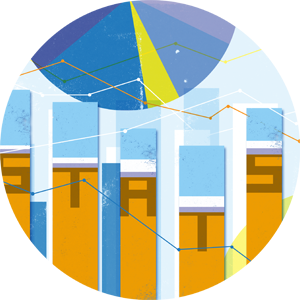 The Department of Statistics is committed to providing support for all graduate students. Unless there are mitigating circumstances or you plan to be a part-time graduate student, applicants will not be admitted unless financial support is available. Please send an email to stat-admit@ms.uky.edu if you do not require financial assistance for the entirety of your graduate studies at the University of Kentucky. All international applicants must provide TOEFL scores for financial support. To begin, please visit the Graduate School website or https://app.applyyourself.com/AYApplicantLogin/fl_ApplicantConnectLogin..... We look forward to receiving your application.